As an Android and Windows type of guy, I’ve been jealous of True Tone on Apple devices. The feature, which adjusts your display’s white balance to match ambient lighting, was rolled out to macOS for the first time with Apple’s new Macbooks. But it turns out its coming to external monitors as well. 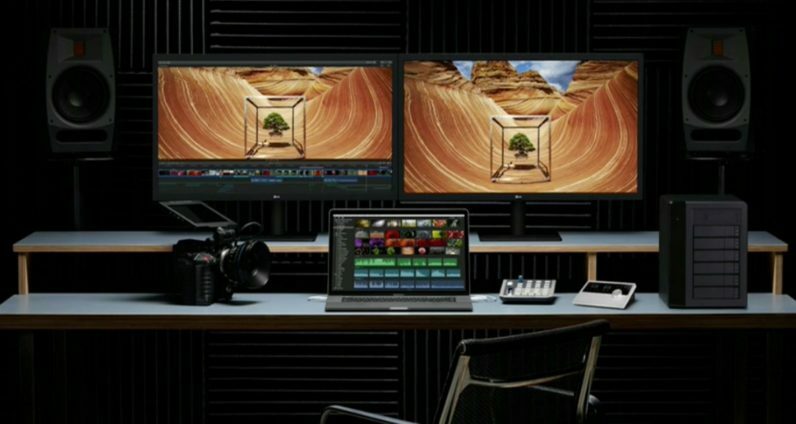 As pointed out by the Verge, Apple published a support document today which lists three external displays that can use True Tone: the Apple Thunderbolt Display, the LG UltraFine 5K Display, and the LG UltraFine 4K Display. For those not familiar, True Tone aims to make displays easier on your eyes by subtly shifting the colors to match the light around you. For example, if you’re in a room with very warm light, your gadget’s displays will tend to look relatively blueish. True tone will make your display warmer to compensate. If you’re in a room with very cool light – a rarer, but still possible situation – True Tone will do the opposite. In essence, it tries to make whites on your screen match the way a sheet of white paper would look in the same room. The shifting white point does have an effect on color accuracy; you wouldn’t want to do color critical work like photo editing or color correction with True Tone on. But it can make general computing – reading text in particular – much more pleasant. Apple mentions that TrueTone works on these screens when connected to your MacBook Pro. Presumably, the technology works using sensors in the MacBook Pro itself, which means that it might not work if you want to use an external monitor with your laptop lid closed. Not a big deal, but something to keep in mind. In any case, we’ve contacted Apple for clarification. Hopefully this means more True Tone displays are on the way. This is one of the rare features I’d actually like to see Windows and Android devices copy from Apple. Published on Fri, 13 Jul 2018 21:43:37 GMT, © All rights reserved by the publisher.